Are you looking for transmission contractors in Grand Rapids, MI? 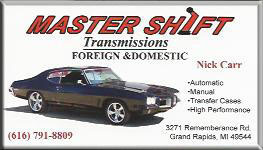 Look no further, Master Shift Transmissions located in Walker, MI. 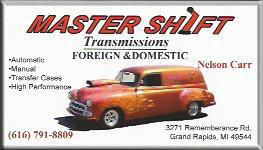 is dedicated to providing West Michigan with quality transmission and driveline repair. We strive to be the best transmission repair shop you can find. Rest assured that you will be happy with our performance in every job.